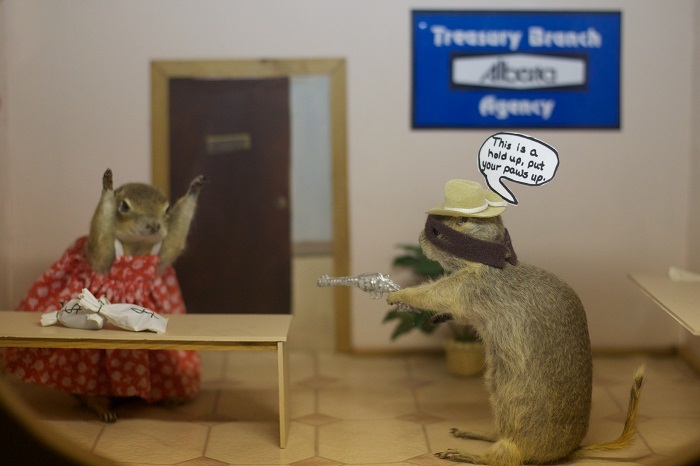 The Gopher Hole Museum, most commonly known as the Torrington Gopher Hole Museum, is a small yet very interesting museum that features stuffed Richardson’s ground squirrels, and it is located in the settlement of Torrington, in the southern part of the Province of Alberta, within Canada. 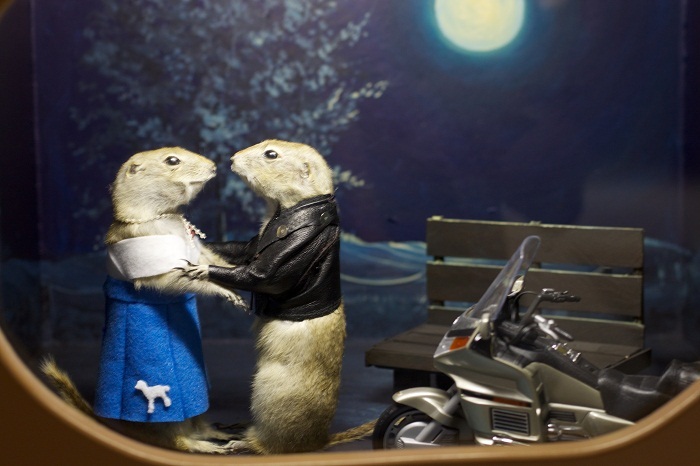 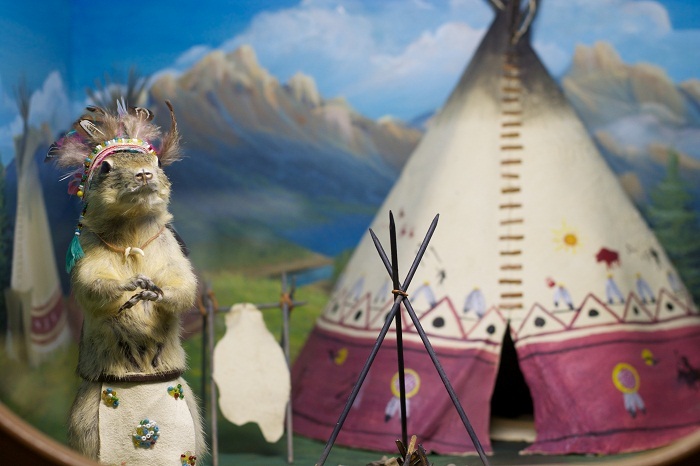 The museum was opened in 1996, where due to the vicinity of city of Calgary, throughout the year it receives an interesting amount of visitors, and as the squirrels are called gophers, they actually represent the townspeople. 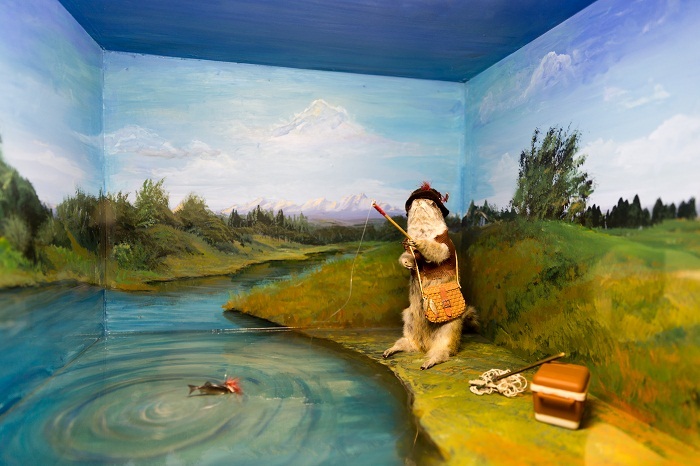 Being dressed and then placed in front of an elaborately painted backdrops, the exhibition features gophers that are dressed as priest, bank robber, duck hunter, firefighter, beautician etc. 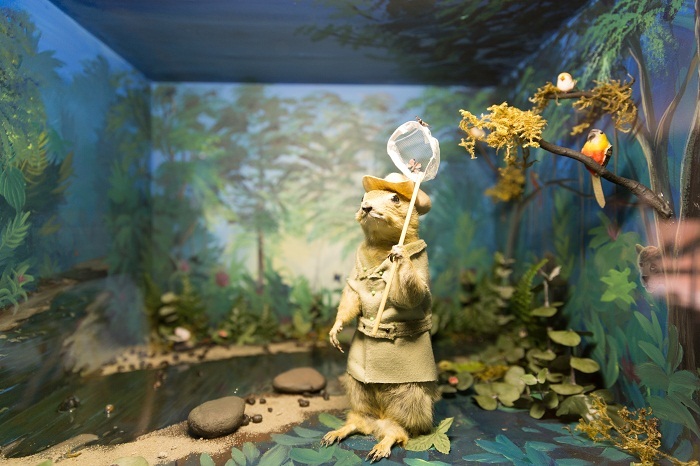 Certainly for every visitor each unique creation is mesmerizing, however, the ones that stand out are the fisherman gopher posed with a net in a stream, and a pastor gopher standing at the pulpit with one of his angelic friends strung up on the ceiling behind him. 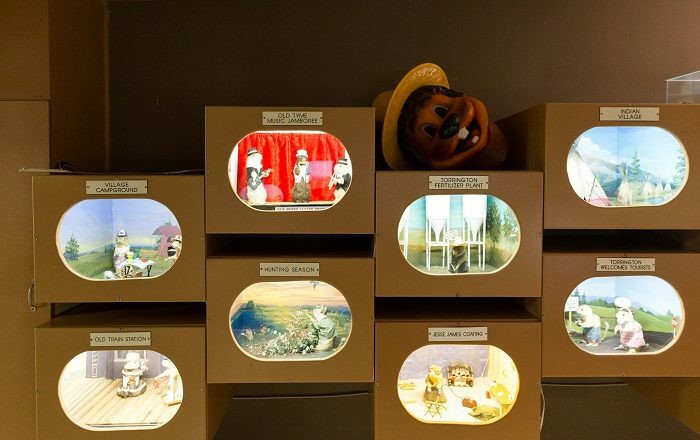 Even though it requires small amount of time to see the dioramas, there are a lot of newspaper clipping that can be listed after, since the Gopher Hole Museum received phenomenal amount of attention since its opening. 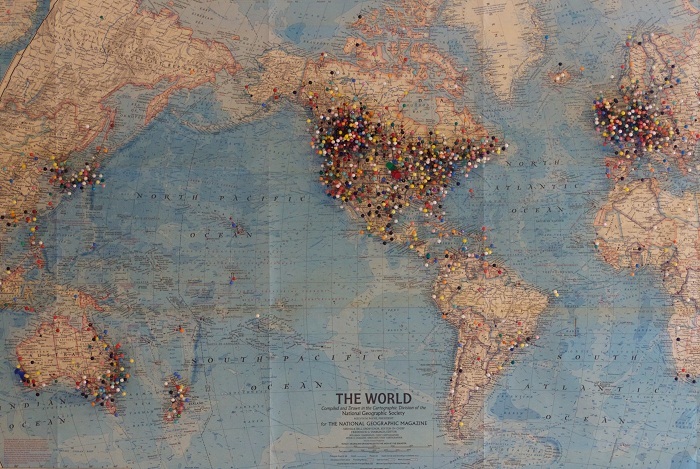 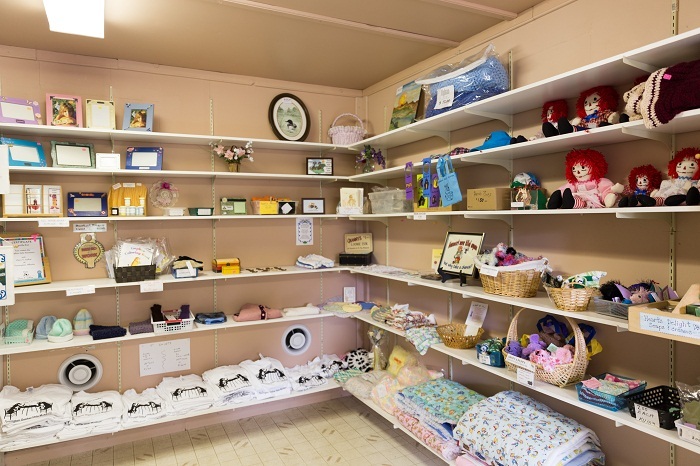 Nonetheless, there is also an interactive map behind the entrance door, where the visitors are invited to put a sewing pin on the place where they come from. 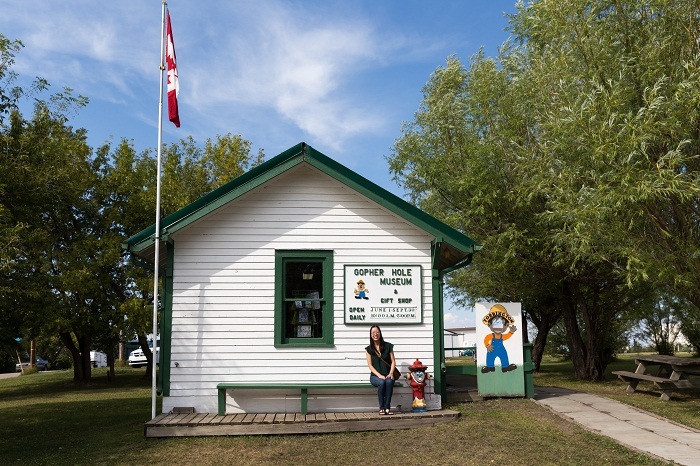 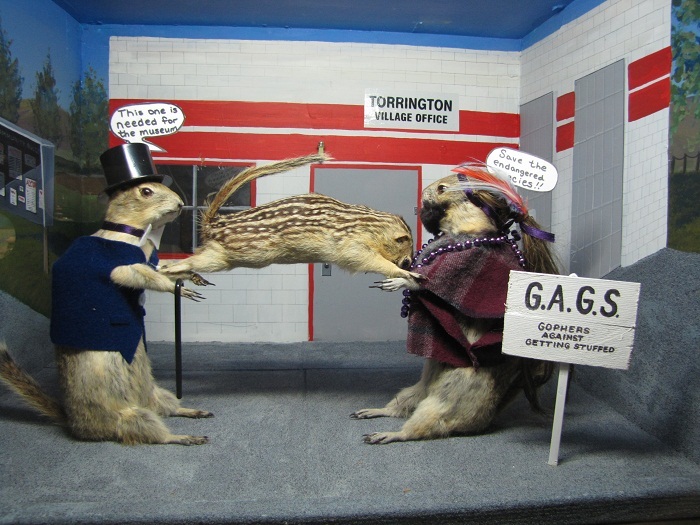 In conclusion, being one of the most unique places people can visit in Alberta, and even Canada, the Torrington Gopher Hole Museum shall continue to amaze everyone who will learn about this exclusive Canadian gem.